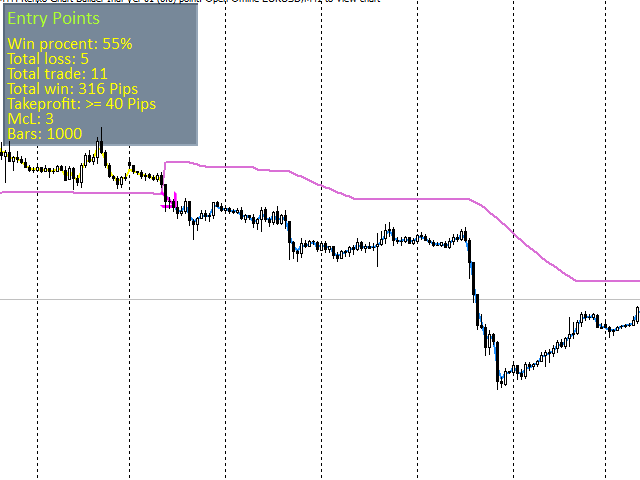 This indicator displays entry points in the market where to open your positions. The indicator is based on Parabolic, SuperTrend and Bollinger Bands to increase profitability and reduce the number of losing trades. It helps to find breakout of the support or resistance line and shows where to enter the market. 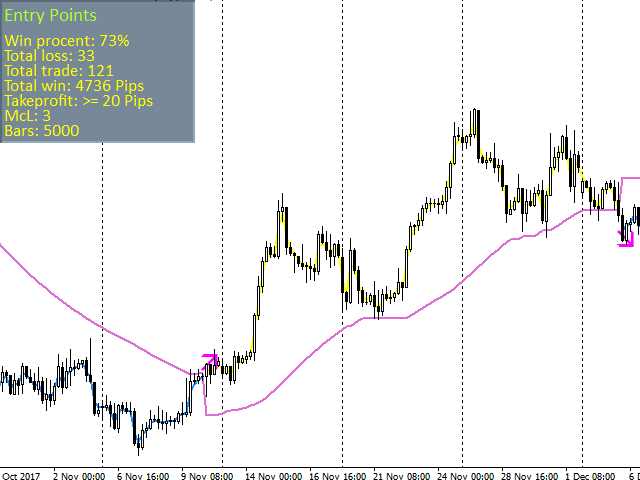 The dashboard shows the results of the indicator (total pips win, loss, % of win and so on). The notification of entry points comes to the phone. It uses closed bars, no tick data. When you test the indicator, choose "open prices only". 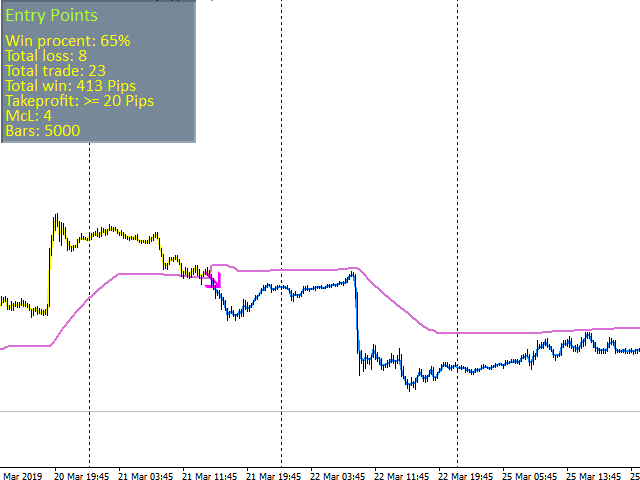 Showing real results in pips and % of win entry points. 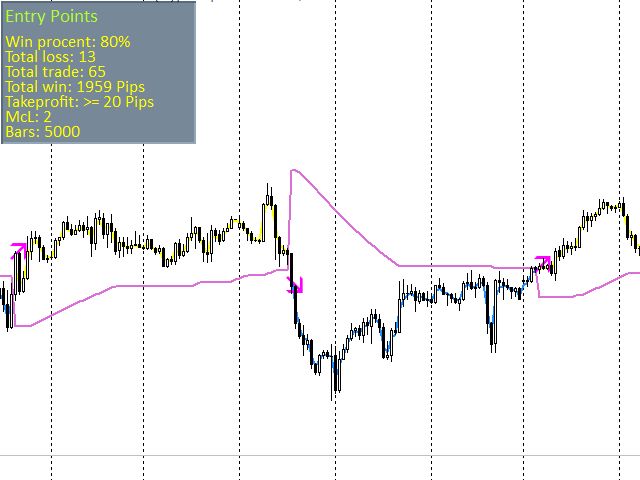 Skipping many false breakouts in compares with classical indicators. The ability to choose the settings that will fit trend or flat. The parameters in this indicator have a strong influence on the definition of entry points into the market. 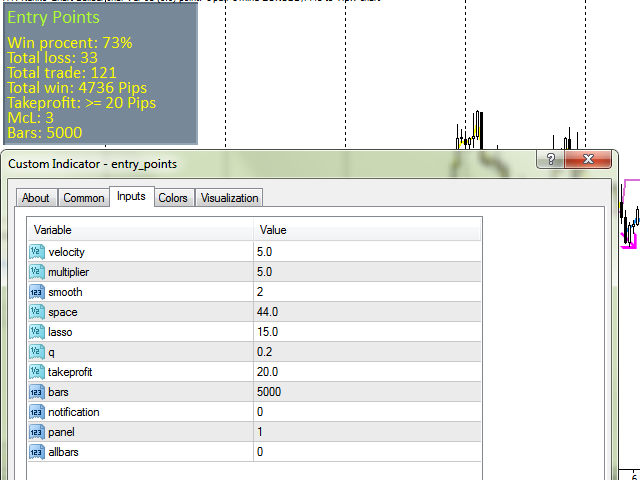 The lasso and q parameters need to be fine-tuned to get the maximum profit in total win and the minimum value in mcl. For flat the space parameter is important, it should be selected empirically to find the best inputs and identify long-term trends. 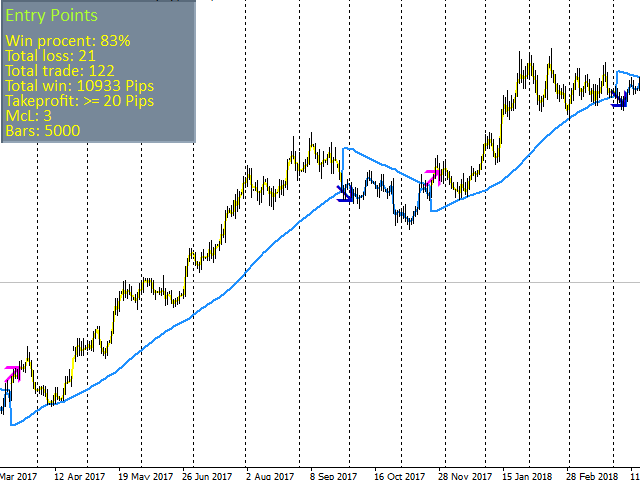 The mcl is important for using the indicator for trading on the martingale principle, where the minimum series of losses plays an important role.